In 1977, the company’s P-Series implemented some of these findings, and in the early 1980’s the Dynaudio 80, 100, and 200 models brought the Dynaudio R&D efforts to life. The young company’s early era was crowned in 1983 when a true loudspeaker milestone was born: The Consequence. 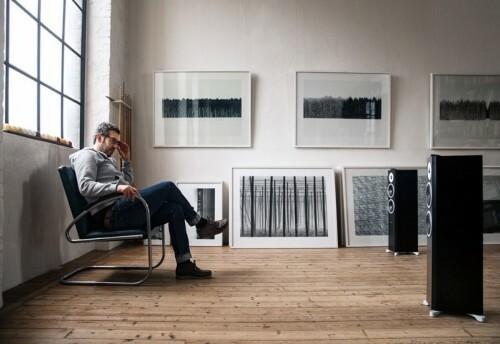 Available by special request to this day, this no-compromise statement loudspeaker is not only highly respected for its incredible sound quality, but it is also one of the world’s best-selling high-end loudspeakers ever. In 1989, Dynaudio presented an extraordinary research project: What could be achieved by integrating only the very best drivers, materials, and components, but in a small cabinet? The answer was the Special One – the very first truly high-end compact monitor. A similar concept, but incorporating new and more advanced drivers, was behind the development of the legendary Contour 1.3 SE.